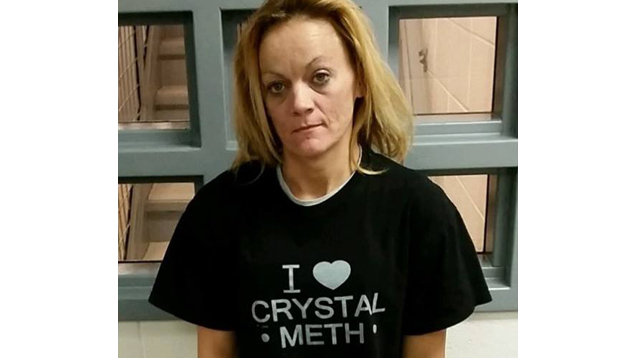 On Tuesday, police in Laurel County, Kentucky released this booking photo of a woman and her stylish "I Heart Crystal Meth" T-shirt on social media. Unfortunately, no points will be awarded for guessing tweaker Amy Poehler's charge, which, as you may have figured out, was a crime of passion. 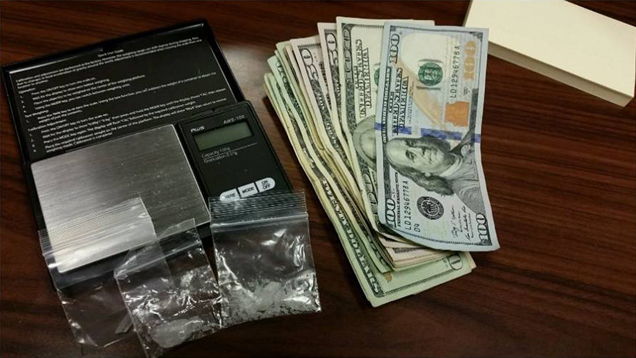 Early Tuesday morning, sheriffs picked up 37-year-old Deborah Asher and a companion after a K-9-assisted investigation turned up several grams of crystal meth and a set of digital scales. Both now face charges of first degree trafficking in a controlled substance and possession of methamphetamine. According to the Daily Mail, Asher remains in custody, having followed her heart to a $25,000 bond.